There is so much fun to have with the iconic Mexican Lucha Libre, but thís put a broad smile on our faces! Cervecería Sagrada's brand identity has been created by the Mexican graphic designer José Guizar. 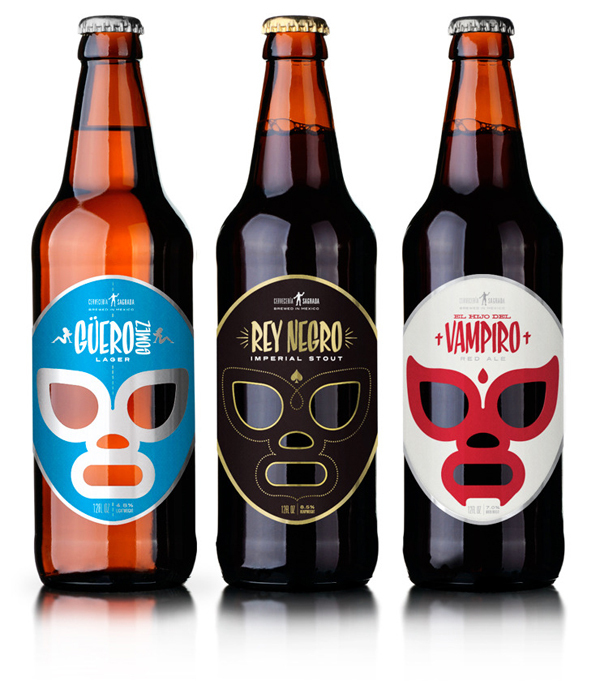 He drew inspiration from lucha in the 1950's, and each beer has been appropriately named after a fictional charachter: Black King for Imperial Stout, Blond Gomez for Lager and The Vampire's Son for Red Ale. You can therefore choose your poison, or in this case, choose your wrestling ring alias! To see more of José Guizar's work click here. 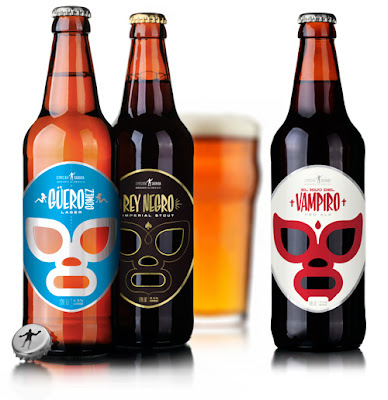 Or for a short history lesson on the fantastic Lucha Libre, go and have a read here and here.